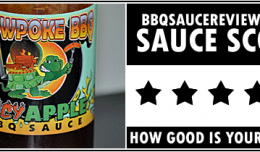 Texas Barbecue Forum Review of Slowpoke BBQ Sauce | Slowpoke BBQ | Best BBQ Sauce In Texas!Slowpoke BBQ | Best BBQ Sauce In Texas! "All-in-all it is a complex flavor profile, that was very well thought out and produced." Our very own SlowPoke BBQ has a new sauce on the market – I got a chance to try it recently. This is a very fine sauce too! It has a deep, rich molasses fragrance + a lot of tart smell from the apple, pear and vinegar combo. 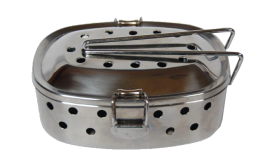 It reminds me of a deep, hearty sauce – the kind I like to pile up on brisket, ribs and especially sammies. As for the consistency, it is on the thinner side, just like I like it. Finger check is up front sweet, then more sweet molasses, the the heat hits about mid way through (habanero?) and a nice finish with fruit and tangy overtones, followed by a pleasant appley after-taste. The heat is medium heat that lingers for quite a while. It has a a dark – carmel color. All-in-all it is a complex flavor profile, that was very well thought out and produced. This one you should add to your “hey I’m looking for something different tonight” list of must try BBQ Sauces. Check out Chads web page for ordering, get ya some.